Use a permanent marker to note where your speed ring is set so it will be easy to determine if it’s been moved. When sighting in a crossbow scope, start with the top crosshair and work your way down, shooting at a greater distance each time to keep your point of impact consistent at each range. 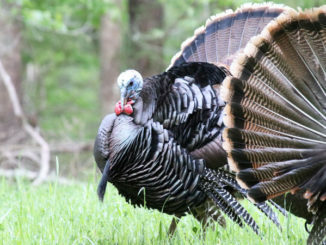 Due to more liberal regulations and an aging population with more and more physical limitations, crossbow use has increased dramatically almost nationwide. The heightened demand has led to many technological advances in both crossbow design and accessories. And the accessory that has seen the most improvement is the scope. 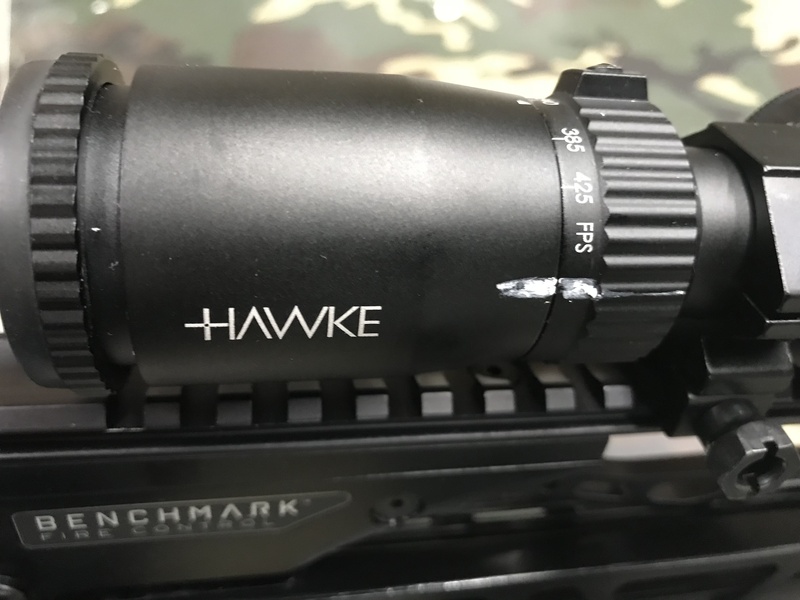 Better optics and newer features such as variable power, illuminated reticles and ocular lens adjustments combine to make these scopes much clearer and more accurate than ever. For many years, crossbow scopes were fixed power with multiple crosshairs. This enabled the shooter to have multiple aiming points without resorting to “Kentucky windage” — holding over the target at longer distances. The problem was that each manufacturer only made one scope for many different crossbow models with varying speeds. This led to vast differences in the corresponding distances at which each crosshair was zeroed, depending on which model crossbow it was mounted on. Shooters had to learn distances through trial-and-error by shooting a lot of arrows at varying distances, often carrying a “cheat sheet” to keep track of them. 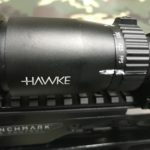 Higher-end, modern crossbow scopes, such as the Hawke Optics XB-1 that I use, allow the shooter to calibrate the crosshairs to exact 10-yard increments, making life much simpler. This is achieved by turning the variable-power ring to adjust the appearance of the gaps in the crosshairs. 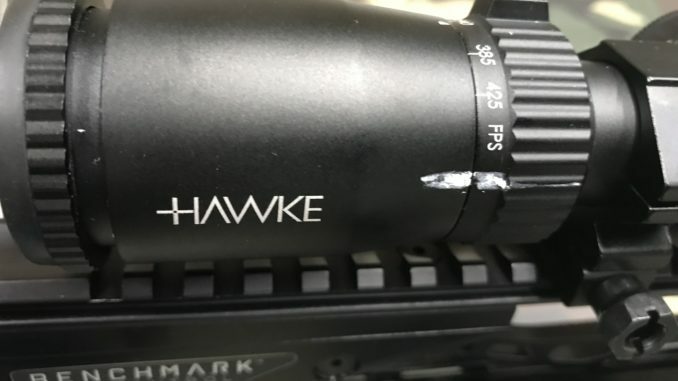 Unlike a variable-power rifle scope, where a hunter uses a higher power to examine his target better or shoot longer distances and a lower power for closer shots; once a crossbow is sighted in, the shooter never moves the variable power ring again. This is probably the most-misunderstood feature, and the one I get more questions about than any other crossbow topic. This week alone, I’ve had eight to 10 phone calls asking for help about this exact issue. First, make sure that the scope is properly mounted, level and that all screws have been tightened on both the base and rings. Then, adjust the ocular focus ring at the back of the eyepiece until the crosshairs become clear and focused. Next, adjust the variable-power ring (aka speed ring) to the published speed for your crossbow. There is no need to chronograph your crossbow; you can calibrate the scope better by shooting at two distances. Next, zero in your top (20-yard) crosshair at a measured 20 yards using the scope’s windage and elevation turret adjustments. 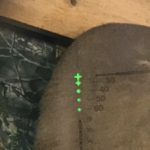 It is important to remember that these adjustments are being made at only 20 yards, because most scopes are ¼- or ½-minute of angle, meaning at 20 yards it will take five clicks to move your arrow’s point of impact ¼- or ½-inch. In other words, you will be moving them a good bit more than when you zero a rifle at 100 yards. Once you have the top crosshair zeroed at 20 yards, replace the covers on the adjustment turrets, since you will not have to move them again. Now that your top crosshair is zeroed at 20 yards, move back to 30 yards. Shoot at the bullseye using the second crosshair from the top. Your arrow should impact the target in line with the bullseye left to right. If it hits the bullseye, you are done. If it impacts high, slightly turn the speed ring higher (counterclockwise) to lower the point of impact. If it impacts the target low, slightly turn the speed ring lower (clockwise) to raise the point of impact. Continue adjusting until the second crosshair is zeroed at 30 yards. When that’s done, you should be sighted in at all distances. Check another distance — the third crosshair at 40 yards — and if this checks out, you are done. 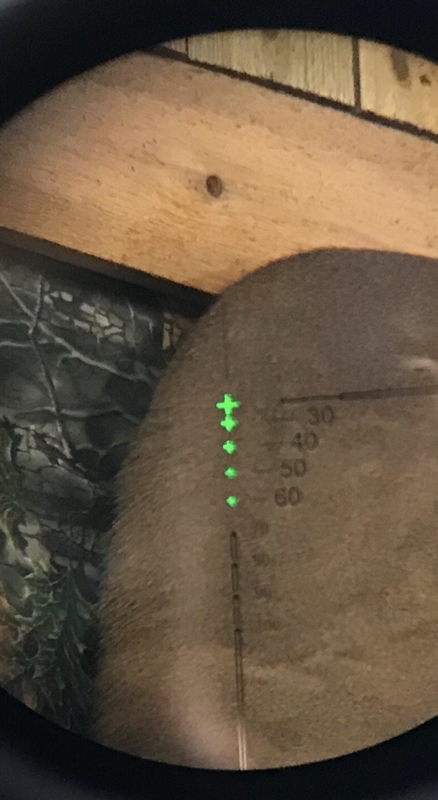 I recommend marking across the speed ring and scope tube using a paint marker so you can see if someone moves this adjustment. Do not move the speed ring again or it will throw your scope out of calibration. Once you have your scope calibrated and are using a rangefinder to range a target, there is no reason to miss. 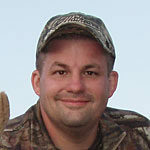 A little time spent on the range calibrating your scope will pay dividends when the moment of truth arrives this season. These scopes are an excellent addition to any crossbow that does not have a scope with this calibration feature. Try one out this year to improve your results in the field.